New Jersey Gov. Jon S. Corzine is proposing some drastic budget cuts to make up for a severe revenue shortfall. Corzine says he's being forced to cut an additional $2.1 billion from the current $32.4 billion budget. The governor is cutting $800 million from departments and agencies, using rainy-day savings and asking union workers to concede to an 18-month salary freeze. 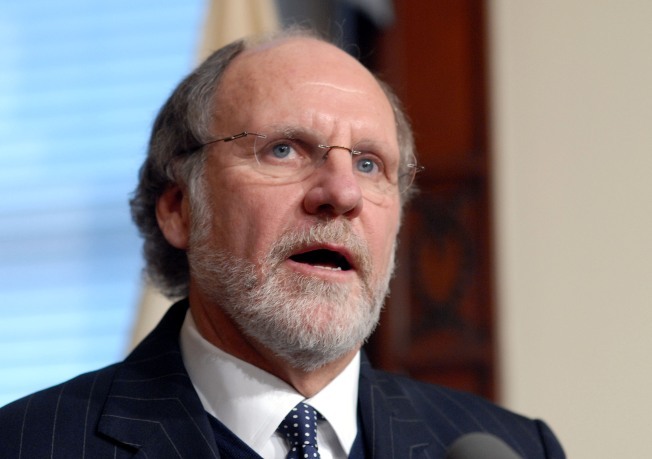 Corzine briefed legislative and union leaders Friday. The governor says additional cuts could be necessary. New Jersey is required by law to keep its budget balanced. Corzine said on a conference call with several other governors Friday that he hoped President-elect Barack Obama's federal stimulus package would include at least $300 million in Medicaid aid.